Appearance: copper to brown, should be crystal clear usually. Mouthfeel: Medium/medium-full body, moderate carbonation. This gives me an approximate O.G. of 1.052 in 5.5 gallons out of the kettle. 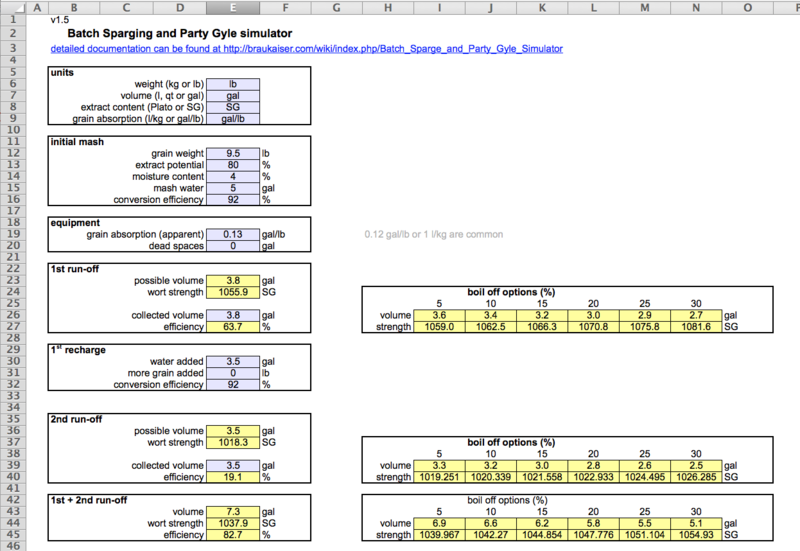 To get a more accurate estimate, I try to predict my efficiency using Kai’s batch sparge simulation spreadsheet. The way Kai’s spreadsheet works is that you put in your mash water and grain amounts, and it will predict and measure your lauter and brewhouse efficiency. 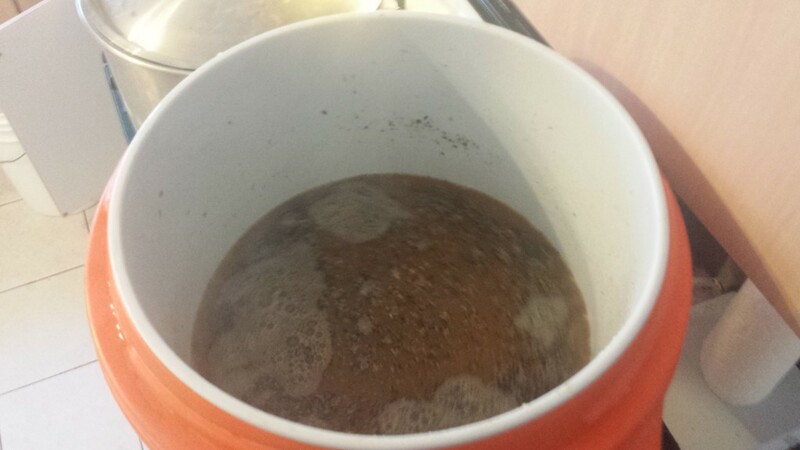 This means we need to decide on a mash schedule before using it, and this brings us to our main topic, decoction mashing. 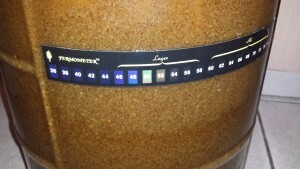 Decoction mashing is a technique for hitting multiple rest temperatures throughout the mashing process that also encourages melanoidin formation. 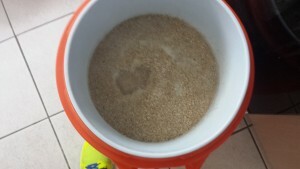 This is a technique that is not widely used in the American craft brewing scene, nor in the homebrew scene, but (as Eric Warner states in his book on German wheat beer) decoction mashing is still the rule, not the exception, in professional German breweries. The general concept of decoction mashing is that the initial infusion of strike water to grain in your mash tun will start the mash at a relatively low temperature (100 F – 135 F) which will activate enzymes that would normally be denatured in a standard single infusion mash. These different enzymes break down starches in different ways. For instance, many decoction schedules have a beta amylase saccharification rest in the 140 F-146 F range to encourage maltose production, followed by a dextrinization rest in the 158 F-162 F range to ensure complete conversion. The way that multiple rests are reached is by pulling part of the mash out (grains and liquor), called a decoction, and raising the temperature of that portion of the mash to a boil, then re-introducing the decoction to the main mash. 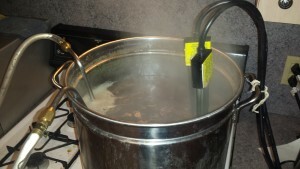 Further, the boiling of the decoction encourages Maillard reactions, which results in the formation of melanoidins. The primary pro of decoction mashing, in my opinion, is that it provides a way to hit multiple rests that does not require infusion of additional brewing liquor. 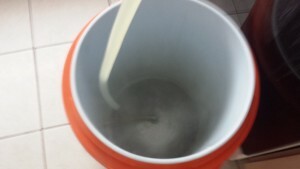 I think this is a great technique to have in your repertoire in the case you miss a mash temperature on a big beer, where you cannot simply add more hot water to the mash tun because it’s already full. 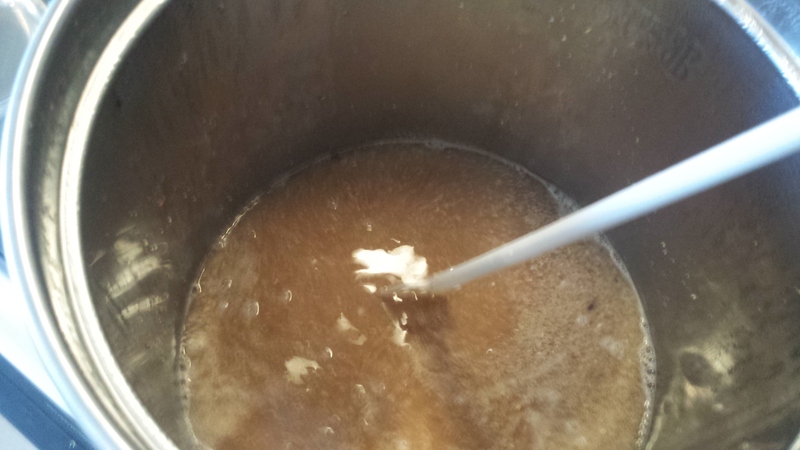 Additionally, melanoidin formation is encouraged in the decoction process, which adds a unique sweetness and richness to beers. The primary con of decoction mashing is the increased time and labor involved. As opposed to a traditional single-infusion mash, which often takes at most 90 minutes, decoction mashing takes multiple hours. While this process may have been critical before well-modified malts were available, it is no longer needed for starch conversion. 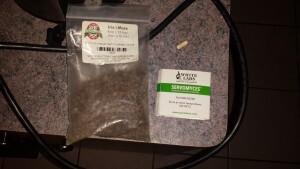 Further, as melanoidin malt is available as a specialty malt to simulate the melanoidin character that would get from boiling decoctions, this technique is seen as an unnecessary waste of time by many at the homebrew level. 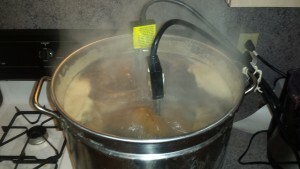 However, I enjoy learning new ways to do things and practicing different techniques, so I do employ decoction mashing on amber and dark lagers. 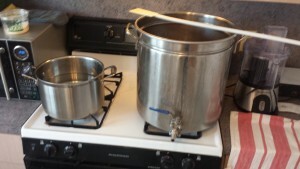 I generally follow the Hochkurz double decoction method, which can be found on Kai’s website. In this case one will dough-in around 131 F to hit a protein rest first (which improves head retention and clarity), then raise the temperature to 146 F with the first decoction, and finally hit the dextrinization rest at 158 F.
>Pro Tip: Do not include crystal and roasted malts in your mash until the decoctions are complete. 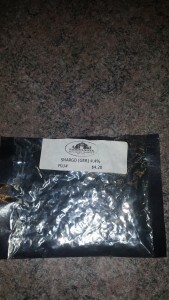 This tells me that if I dough-in with 5 gallons, I should get about 3.8 gallons of 1.056 wort out of the first runnings. 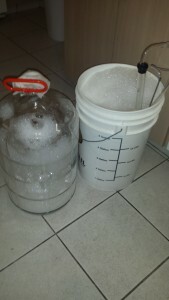 Thus if I add 3.5 gallons for a single round of batch sparging, I will get a total of 7.3 gallons out. 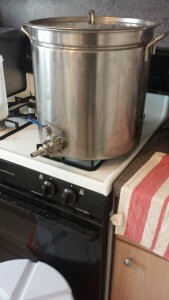 This is about what I want, since I’ll be doing a 90-minute boil, and over that time I should boil off about 1.8 gallons, leaving me with 5.5 gallons wort in the kettle. I chose to do a 90-minute boil here due to the large amount of Pilsner malt. Since it is known to have more SMM (pre-cursor to DMS), it’s wise to boil wort for 90 minutes, which drives this volatile compound off. 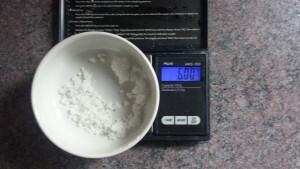 I then put in my grain bill, and played with the salt adjustments for gypsum and and calcium chloride until I had around 100 ppm of calcium in the mash, and a final water profile with a big chloride to sulfate ratio, which enhances the perception of maltiness in beer. My final adjustment was 2 grams of gypsum and 6 grams of calcium chloride. We still have not decided on yeast and hops. 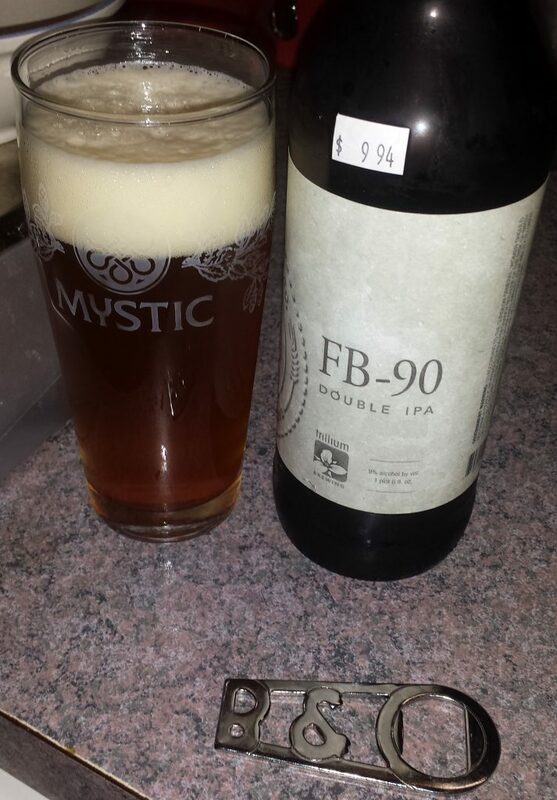 Since we want a pretty subtle bitterness and virtually no hop flavor to be in style, I aim for around 20 IBUs. 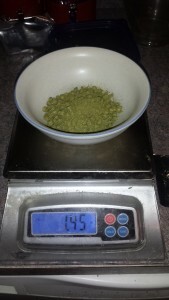 I had German Smaragd hops (4.4% AA) on hand as my bittering addition at 60 minutes, which was 1.45 oz of hops. As far as yeast, my personal favorite example of the style is made by Ayinger, so I decided to use their lager yeast strain. This is available year-round as White Labs’ WLP833. 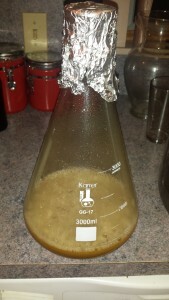 This yeast finishes a little maltier than most of the other lager yeast, and is very well behaved. I picked up a relatively fresh vial (about two weeks old) the week before brewing to make a starter. 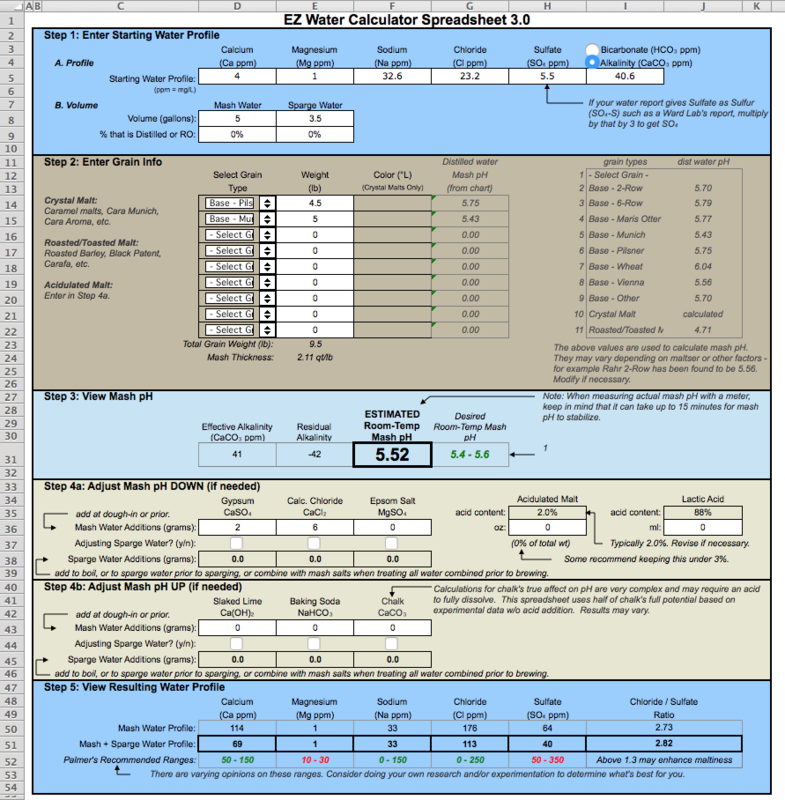 I use Brewer’s Friend’s yeast starter calculator, and aim for about 1.5 million cells per milliliter per degree Plato. 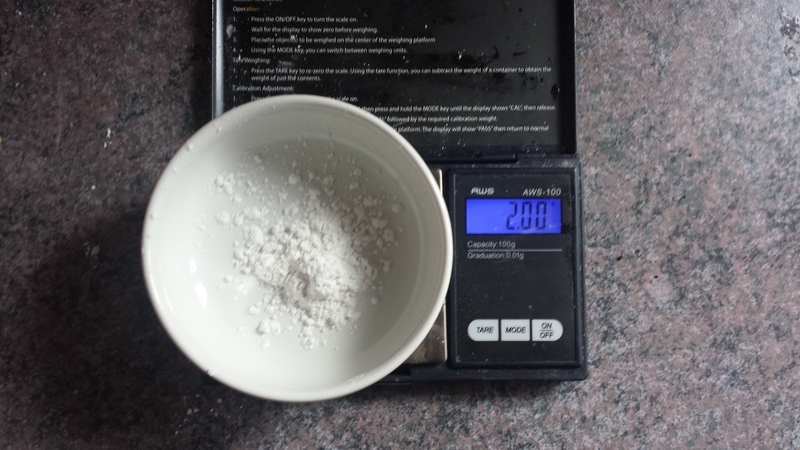 The calculator indicated that, on my stir plate, a 2.5 liter starter would suffice. I made that the Thursday night before brewing, and cold-crashed in my fridge on Saturday. 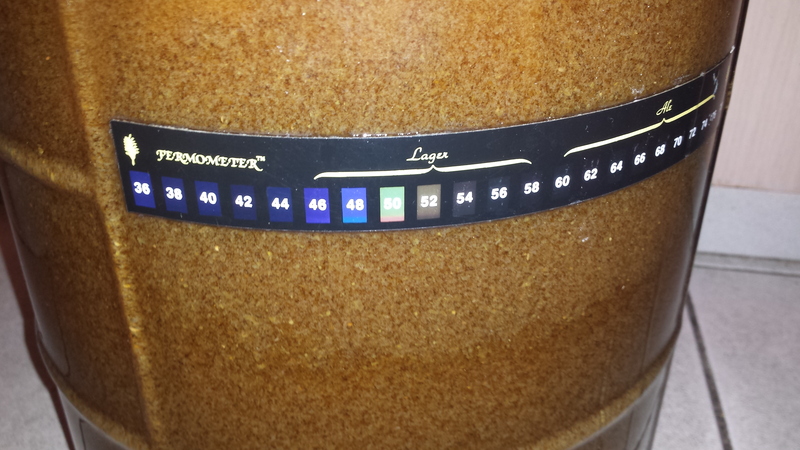 I started by milling all of the grain, again separating the roast malt from the base malts. Then I measured out my salt additions, and added them to the base grains. Next I heated up my five gallons of strike water, which BeerSmith calculated would need to be at 136 F to hit my desired temperature of 131 F. Once the strike water hit 136, I ran it off into my mash tun, and then added the grain (sorry about all the blurry photos; they looked decent on my phone). >Pro Tip: Always have water boiling during the decoction process to make sure you can quickly adjust your rest temperatures if you do not hit them perfectly. For this mash, I pulled my first decoction of about 6 quarts, which from experience is about what I’d need to hit 146 F when going up from 131 F. I just use a plastic 2 quart pitcher, reach in with that and stir up the mash a bit, so I am getting both wort as well as some grain, then fill the pitcher with a mix of the two. I put this directly into my boil kettle, and start heating it up. You can see this below, on the left. In the first picture you can see my boil kettle on the right stove burner, and on the left is my water, which I will heating to a boil to adjust my rest temperatures, if needed. Now, with this first decoction, I like to heat it to 158 F, and then let that rest for 20-30 minutes. 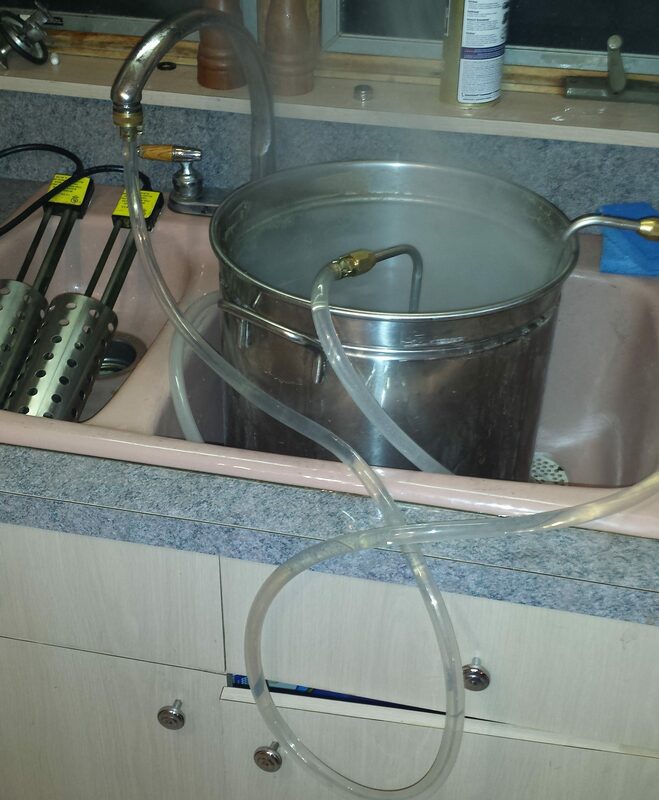 This is because this wort has not yet hit a saccharification rest. Once this gets to that temperature, I turn off the heat, and cover the kettle. The temperature, over that rest, will drop a good 4-5 degrees, but shouldn’t be a problem. The key here is you want alpha amylase to convert that wort before you denature it by boiling it. This is shown below in the right picture. Once this rest finishes, I begin heating the wort again. 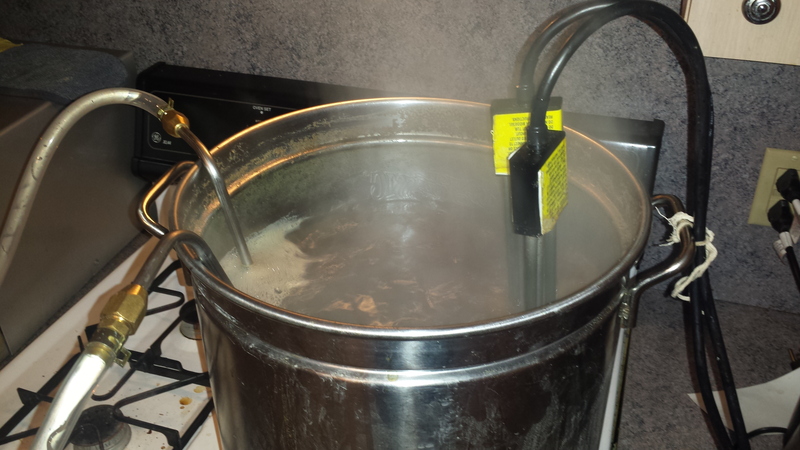 At this point you want to be stirring the wort fairly constantly so you don’t scorch the grain. 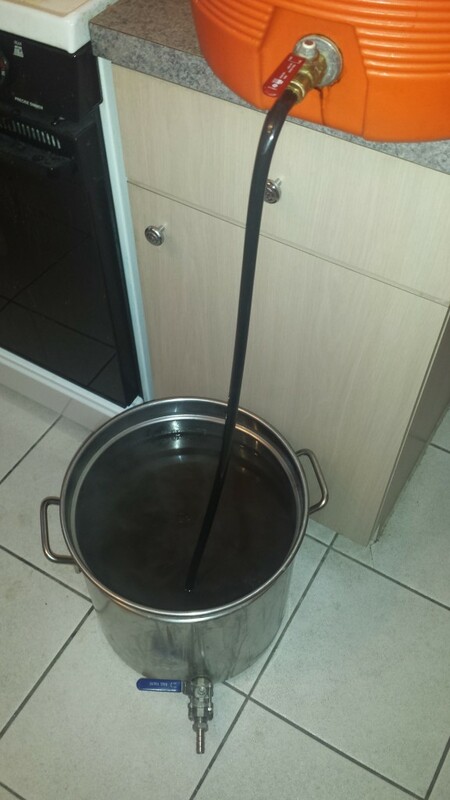 Once the wort gets to boiling, hold it there for 15 minutes (for darker/richer beers, like doppelbock, you would want to boil longer). This is where you create that melanoidin character via Maillard reactions. These are reactions in which the carbonyl group from sugars combine with amino acids, and reduce to multiple compounds, including melanoidins. These compounds are what give traditional German lagers some of their unique, rich sweetness. The longer you boil, the more this reaction will occur. You can see the consistency of my decoction as it nears boiling below. Once you have boiled the decoction for 15 minutes, dump it back in the mash and take the temperature to make sure you hit your target. I was going for 146 F. In this case, I hit 145 F, which was sufficient. Again, you will want to let this rest for a beta amylase rest. I personally let it go for 30 minutes here, then pull the next decoction. The second decoction I pulled was 4.5 quarts, since we only needed to go from 146 F to 158 F. The same process described above was followed, except I did not rest the decoction at 158 F, I just went straight to boiling. Once you boil the decoction for 15 minutes, add it back, and add hot/cold water to hit your temp, the decoction mashing is done! At this point, I add all crystal/roast malts. In this case it was 4 oz of Carafa that was added to get the color I want. I let this rest for 20 minutes, just to extract some color and finish up conversion. At this point brew day proceeds as normal. For me, this begins with batch sparging. 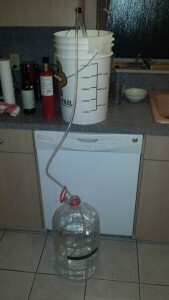 I always start with a vorlauf followed by a measurement of both the gravity as well as the volume collected. To me, this is a critical step in the process, because this is a very accurate predictor of my overall efficiency. If my first runnings (total volume X points of specific) hit what Kai’s spreadsheet said they would, then my overall efficiency will be pretty close. Kai’s spreadsheet, in this case, predicted that (for 80% efficiency) I would lauter 3.8 gallons in my first runnings with an approximate gravity of 1.056. Thus the total gravity is 56 X 3.8, or 212.8 points. I pulled the first runnings into a testing cylinder, and used my hydrometer (which has a built-in thermometer) to get the measured temperature and specific gravity. While it’s hard to tell from the picture below, the measurement was 1.044 SG at 122 F. This translates to 1.055 at 60 F. Note that this is not an extremely accurate measurement, and shouldn’t be used for anything precise. Here, I’m just trying to ballpark by efficiency, so I find it works well. 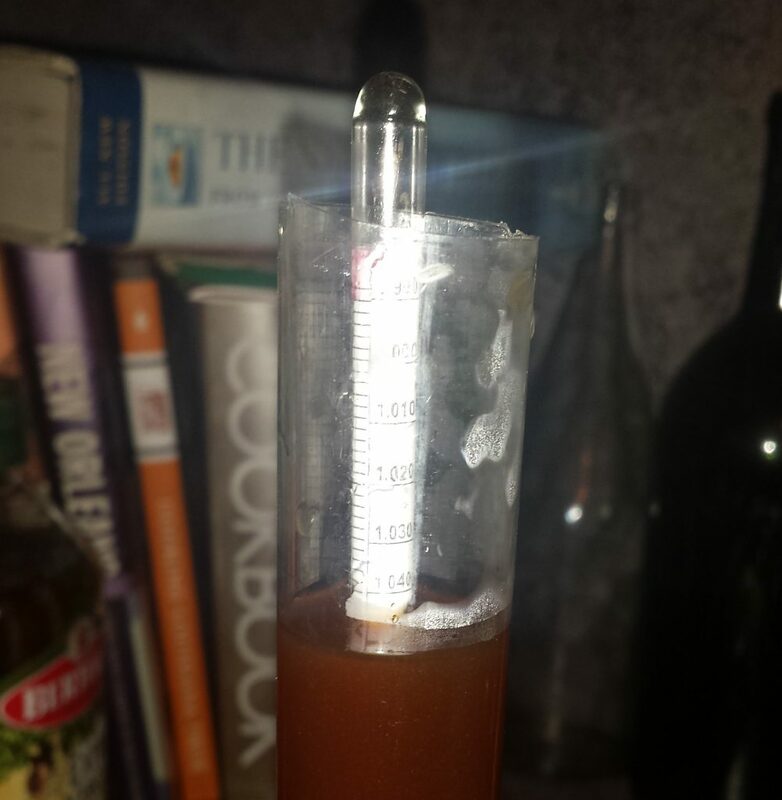 On top of that, I measure that I gathered off 4 gallons instead of 3.8, so my estimated gravity is 55 * 4, or 220, which is actually a little higher than expected. Further, I adjust the volume of my sparge water down by .2 gallons to hit my desired final volume since I collected more than expected here. While I normally perform two rounds of batch sparging, I only did on on this day, as I thought doing 1.65 gallons each time instead of once big 3.3 gallon at the cost of a point or two of efficiency was fine with me. 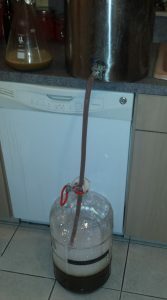 After adding the sparge water, and letting it rest for 15 minutes, I began the lautering process again to fill my kettle. I measure the total volume, and hit about 7.3 gallons, which is exactly what I wanted. Now onto the boil. During spring, summer and fall, I usually brew outside because it’s pretty nice here in the Boston area. 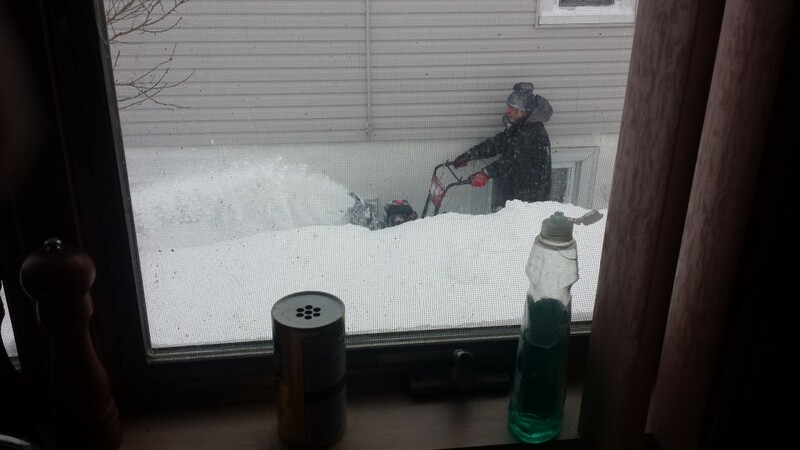 But this winter has been brutal, and there is no way I’m going out there. Fortunately, I have an easy method for brewing indoors. 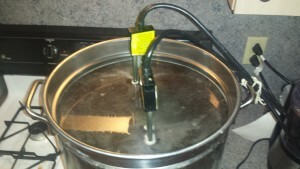 I use heat sticks in conjunction with my stove to get to a strong rolling boil quickly. I highly recommend them. 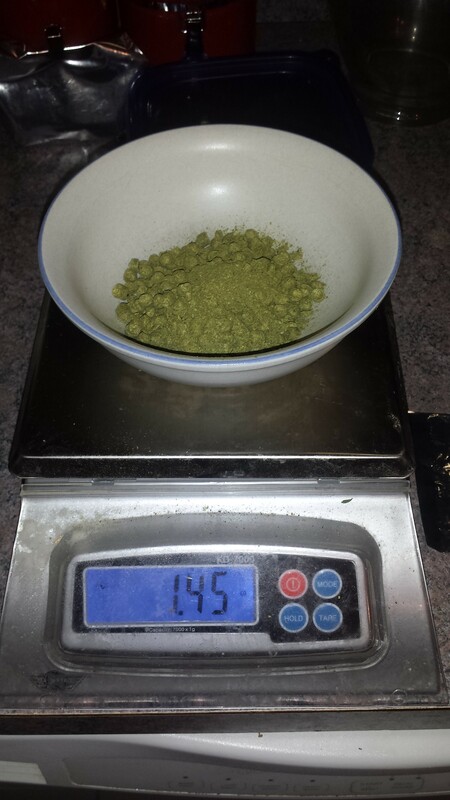 At this point I measured out my hops, and when there was 60 minutes remaining in the boil, I added them. >Keck rule: do NOT have any beer until the boil is started. This has been the downfall of many a great homebrewed batch of beer at my place. I have finally reached a boil, so I get myself a taste. Shout out to ex-club-members-gone-pro. 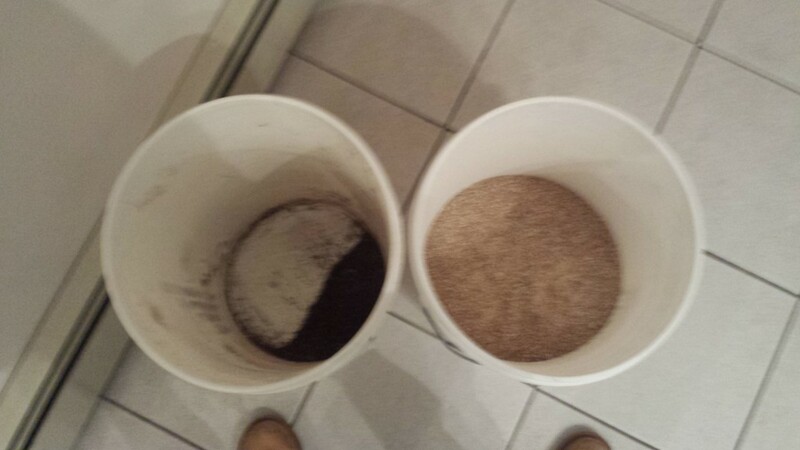 I clean out the mash tun, and prepare for the end-game. When there are 15 minutes remaining in the boil, I put my immersion chiller in the boiling wort, as well as a teaspoon of Irish moss and 1 capsule of Servomyces. 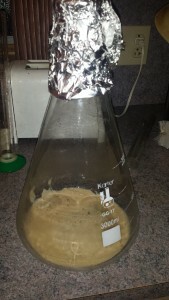 I use this yeast nutrient in most of my lagers as it adds zinc to the wort, and to my knowledge is the only mineral important to fermentation that is not provided in the required quantities by an all-grain mash. At least, that’s what I read in the White/Zainasheff “Yeast” book. Once the boil has reached its full 90 minutes, I turn the flame off and start running the chiller. I stir the chiller around to get under 100 F as quickly as possible. For this beer, I checked the temperature of the wort after 10 minutes of chilling, and it was at 88 F, which is plenty fast to avoid DMS. At this point I started preparing the fermentation vessel by running some StarSan into it. 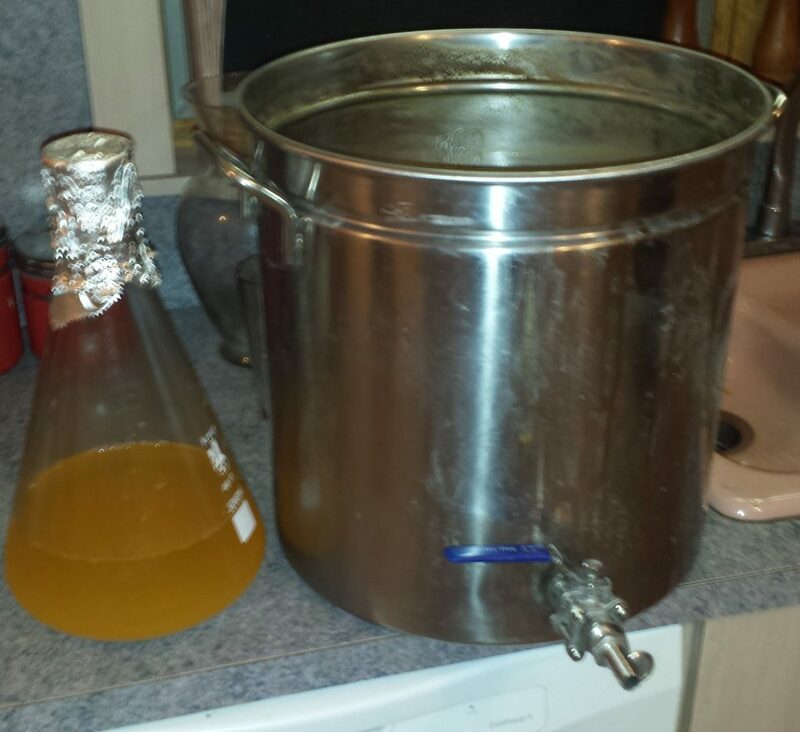 Once the beer is chilled to pitch temperature (50 F) I pull it out of the sink, and prepare for transfer into the sanitized fermentor, and pulled my yeast starter from the fridge as well. 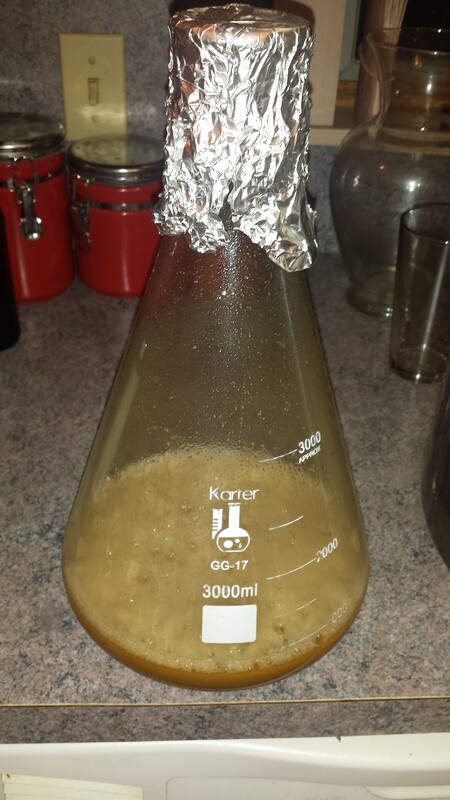 I decanted the starter wort from my yeast starter, leaving only the yeast. After testing the original gravity of the wort (1.053), I then took the first runnings out of the kettle, and put it in this starter flask to to swirl up the yeast. Emily F. once told me that my three liter Erlenmeyer is a piece of crap, but whatever, she’s always trying to rain on my parade, so I didn’t even care. After this, I run the wort off into the fermentor, and check the temperature. After aerating with pure oxygen for 30 seconds, I drop this into my fermentation chamber next to the German Pilsner I brewed the day before, and pitch the starter. 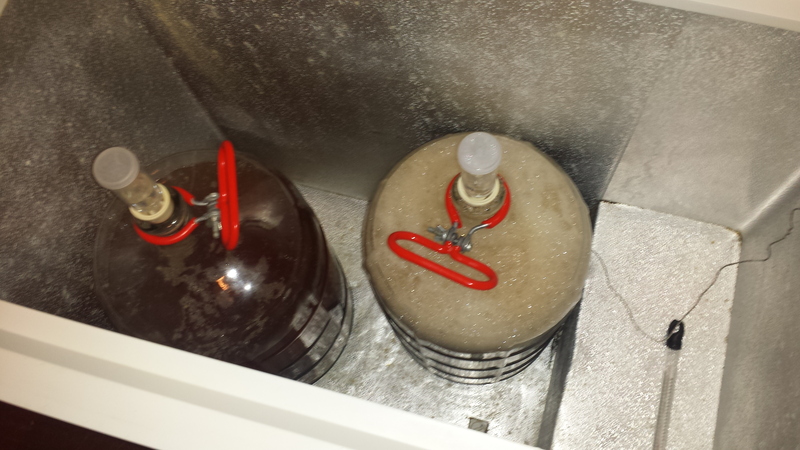 I set the fermentation temp, clean up and tip back a couple of beers.